Osama bin Laden typically wore a cowboy hat while tending his garden. Its broad brim obscured his features from the view of pesky eyes or satellite cameras that might blow his cover while he was hiding out in Pakistan, according to a report published widely in Pakistani media. The 337-page leaked report details the domestic life of one of the world's most wanted men as a grandfather in his final days of life. It also scathes Pakistani authorities for failing to keep him out of the country, and for failing to prevent the U.S. raid by Navy SEALs that killed bin Laden in May 2011. These writers normally help customers in selecting appropriate topics for papers. Second, you are pressured with the time allotment which has given unto you with that particular part of your respective examination. Doting grandpa is that the new term for pedifile? Too bad we didn't get him sooner. 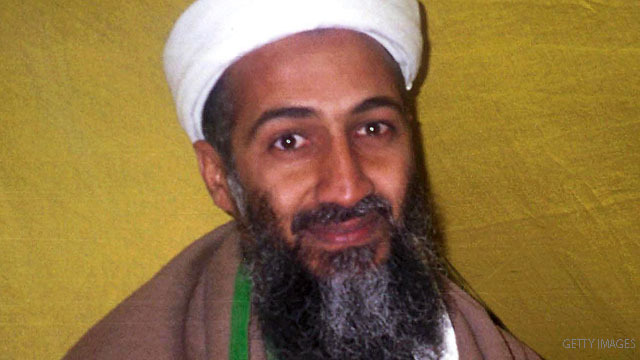 None of this really proves that they murdered the true Ussama bin Laden back on May 2, 2011. The C.I.A. is capable of furnishing "children and grand children" to make this "Ussama bin Laden" appear to be genuine leader of Al Qaeda. Why did they not take him alive and bring him to the naval ship in the Indian Ocean and send him to Gitmo if this was the true Ussama bin Laden instead of shooting him down in cold blood? I guess we'll never know!!! Thanks to SEAL, Obama is a fish food.